Alexandra Headland has seduced many a Sunshine Coast holiday-maker with its sublime beaches, tropical climate, and laid-back atmosphere. The esplanade that meanders its way along the coastline sports restaurants, cafés, boutiques, and resorts that deliver to visitors and locals alike, every desire one could conjure without over-commercialising the area. Which is one of the reasons Alexandra Headland is so special. 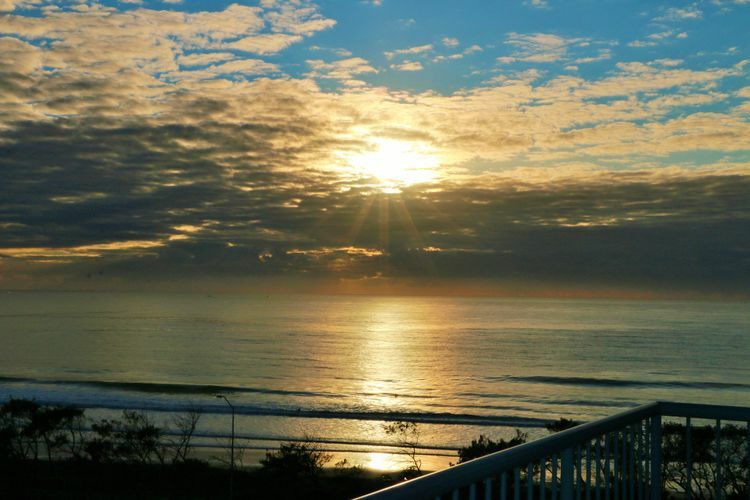 It is a slice of seaside bliss that comes without too much hustle and bustle. One of the most popular resorts lining Alexandra Headland’s stunning beachfront is Oaks Seaforth Resort, known for its central and convenient location, impressively serene tropical gardens, and lavish apartments. 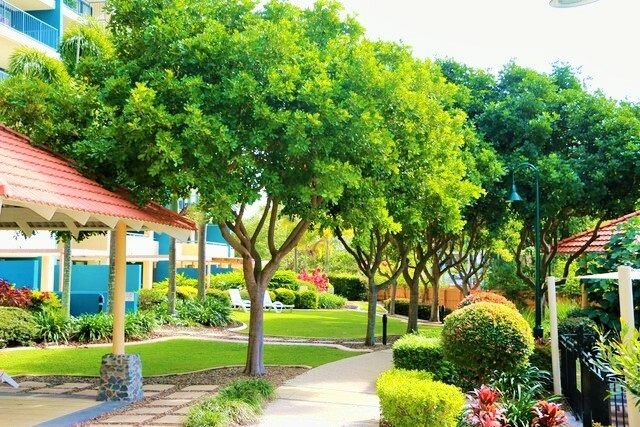 Oaks Seaforth Resort is an amazing resort with a lot of heart; upon first laying eyes on the accommodation you will be immediately captivated by the luscious gardens and the echoing sounds of cascading waterfalls that resonate peacefully throughout the grounds. The lagoon area attached to the waterfalls is as tranquil as it sounds, with two waterhole options you are spoilt for choice! The beach-style lagoon luxuriously wraps itself around the resort, while the second pool sports a standard rectangular layout and features a kids wading pool. 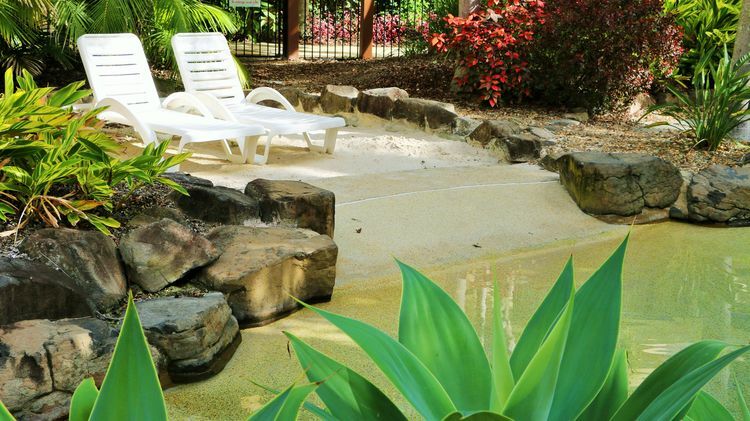 There is even a small secluded nook complete with its own beach entry and sun chairs for some private time. As well as providing a lovely atmosphere, these magnificent gardens paired with the beachfront location ensure each room of the resort has a beautiful view. Choose between a 1, 2, or 3 bedroom apartment, with the 2 bedroom apartment also having a luxurious penthouse option. The rooms are all freshly refurbished with a modern design and classic finishings. Each apartment is adorned with a private balcony perfect for gazing over whichever view you have been graced with while enjoying a meal or simply time with your loved ones. The full gourmet kitchens are perfect for preparing the occasional meal in the apartment to enjoy your lavish surroundings, panoramic views, and to help the budget so you can really splurge on the meals you do enjoy out. In terms of dining, Oaks Seaforth Resort is in a fantastic location with the most divine breakfast imaginable in Alexandra Heads located in the resort building on the shorefront. 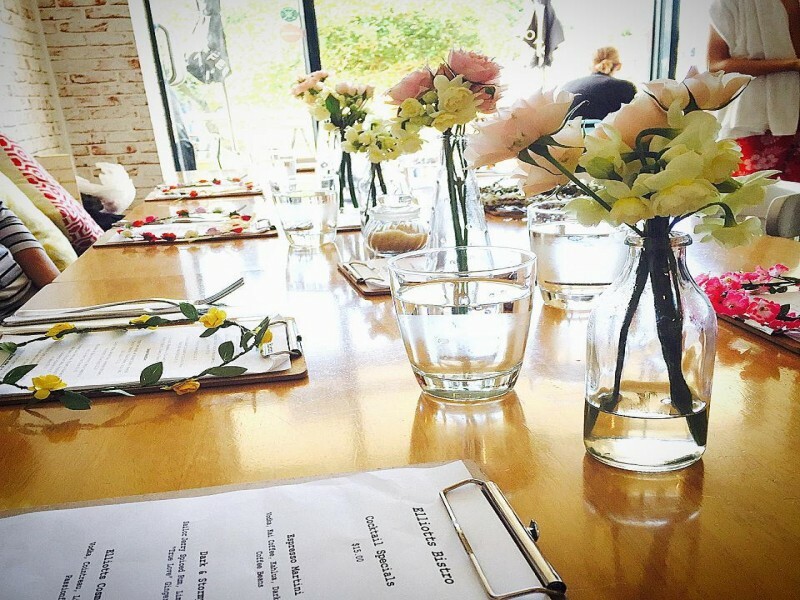 The number #2 rated restaurant in Alexandra Beach, Elliotts Bistro has a cruisy atmosphere that is great for the family and boats a menu that is more than your standard eggs benedict, but is sure to please even the fussiest of eaters. For a casual bite to eat, the Pastry Chef, is also located in the buildings beach-facing promenade and accommodates French pastries galore, healthy salad rolls, deserts ranging from cream buns to lemon meringue and delightful coffee. Joining the Oaks Seaforth Resort culinary club is Sang’s Thai Restaurant adding a little ethnicity to your selection in the form of delicious South-East Asian cuisine. Dishes are reasonably priced, the service is constantly rated a 5 out of 5, and the food is lovely. 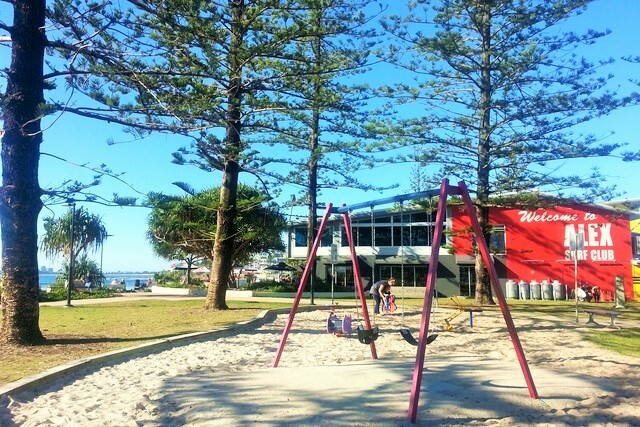 Just down the road from Oaks Seaforth, the Alexandra Headland Surf Club is another family favourite on the Sunshine Coast, it’s perfectly situated on the waterfront and boasts million dollar views. This Surf Club is not your regular beach bum establishment, it has a casual breakfast bar nook that is entirely unique to Alex Heads. As you stroll along the esplanade you will be drawn just off the walk way into the well-situated club’s outdoor seating area by the aromatic coffee wafting through the air. You can order at the kiosk and bask in the sunshine as you sit practically on top of the beach and enjoy your meal or caffeinated beverage overlooking the ocean’s ever-changing shades of aqua, turquoise, and sapphire. By night the surf club transforms into a lively social hub popular among locals and visitors for the live music, delectable tapas menu, and child friendly ambience. Finally the last addition to the resorts restaurant offerings is the Blue Bar, which has a rustic ambience perfect for a causal drink and some adult time, or a nice meal. As well as these restaurant, café, and bakery options, there is also a convenience store located in the entry to the resort, meaning you can pick up those last minute items easily. For those who enjoy a bottle of wine or chilled beer, rest easy knowing the BWS is also situated in the resorts line of shops meaning you can pop down at any time to replenish your stores and enjoy a cold one or a nice glass of wine over dinner. In fact you can pick up a six pack and some BBQ stock and enjoy the resorts beautiful barbeque area. Located at the back of the resort the area is shaded by gazebos and surrounded by grassy knolls, luscious tropical gardens, and the lagoon giving it a private, tropical feel. There are plenty of BBQ areas and picnic spots meaning overcrowding is not an issue. In fact, we don’t believe Alexandra Heads have that word in their vocab! The spectacular thing about Alex Heads is that the area has a heaping of small town warmth. The region oozes tranquillity and a laid-back, friendly beach town atmosphere that permeates even the most frantic and busy minds until you have slowed down enough to enjoy your beautiful surrounds and reconnect with your loved ones. You will absolutely love it at Alexandra Headland. 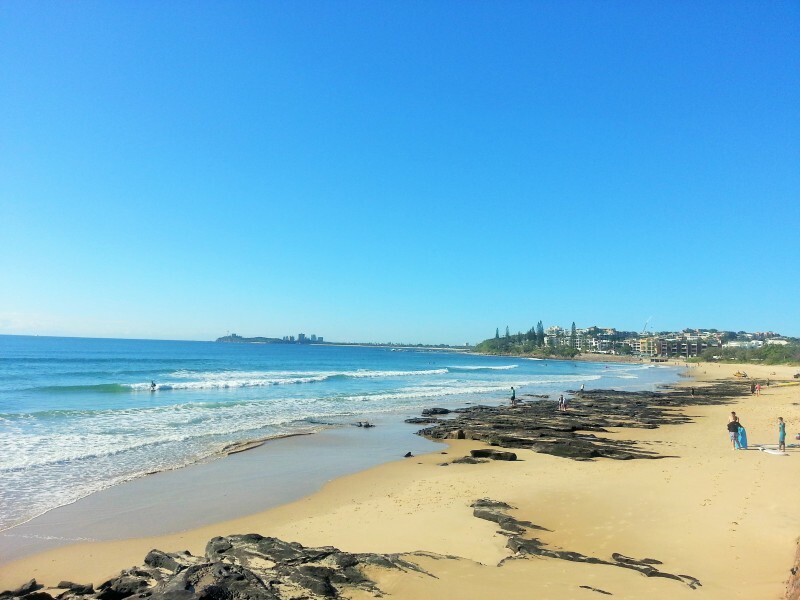 While both Mooloolaba and Maroochydore are within walking distance the beaches at Alexandra Headland are absolutely stunning. The golden sand is pummelled by sapphire waves while diligent lifeguards watch over swimmers and beach-goers enjoying the water between the red and yellow. If you can manage, packing the kids their scooters, bikes, skates, or roller blades will be well-rewarded! 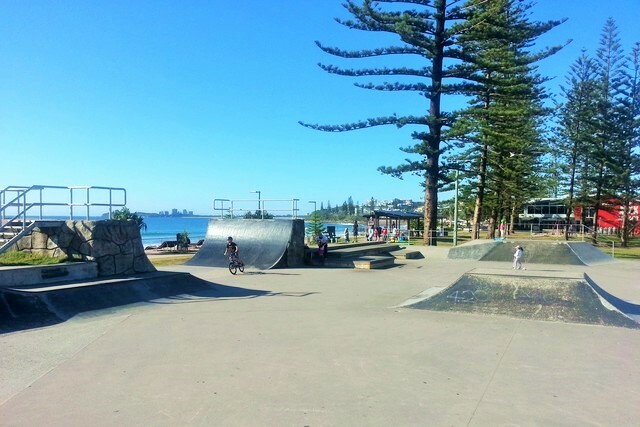 The older kids will head straight for the half pipe at the skate park where they can hone their skills and test their agility and balance, while smaller children will love scooting along the boardwalk. 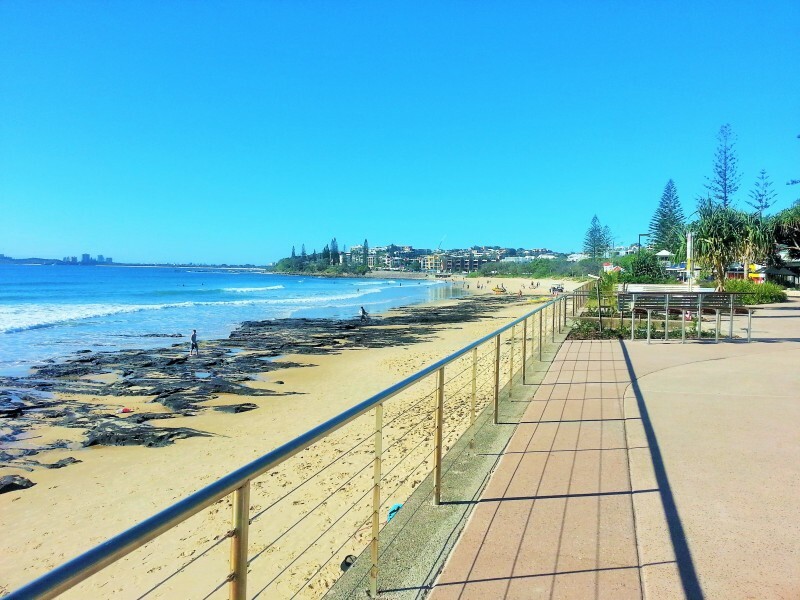 The pathway meanders down from just outside Oaks Seaforth Resort all the way through to Mooloolaba, where the pace steps it up a notch in the form of fantastic eateries, crashing surf, and a lively atmosphere. You can also follow the coastline through to Maroochydore where you will find magnificent restaurants and cafés as well as the Cotton Street Markets that boast homewares, cotton candy, food stalls and much more. 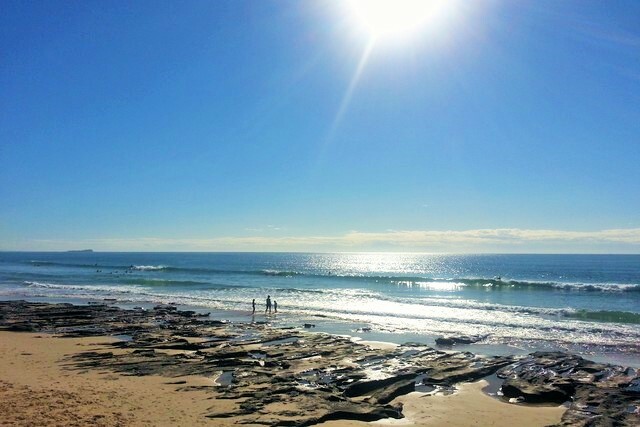 While we doubt you’ll want to leave Alexandra Heads, the amazing location does lend itself to the Sunshine Coast’s other attractions as close as Mooloolaba’s famous Underwater World where the whole family can get up close and personal to some of the sea’s most beautiful and fascinating creatures. 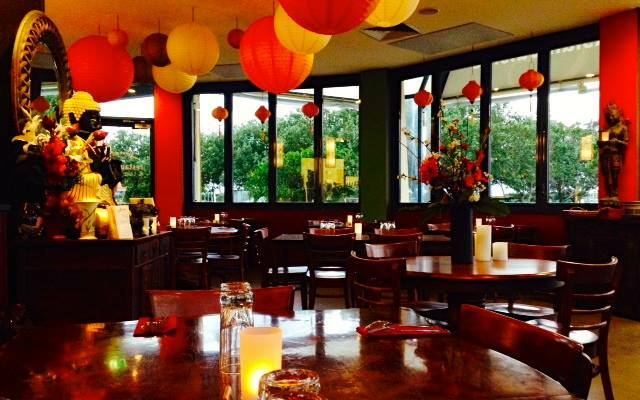 While you’re in Mooloolaba you can also stop by The Wharf for delightful upmarket dining with a view. For on-land animal encounters look no further than the Irwin family’s home territory at Australia Zoo. Get ready for an action-packed day of exploring habitats, taking photos, and watching shows. 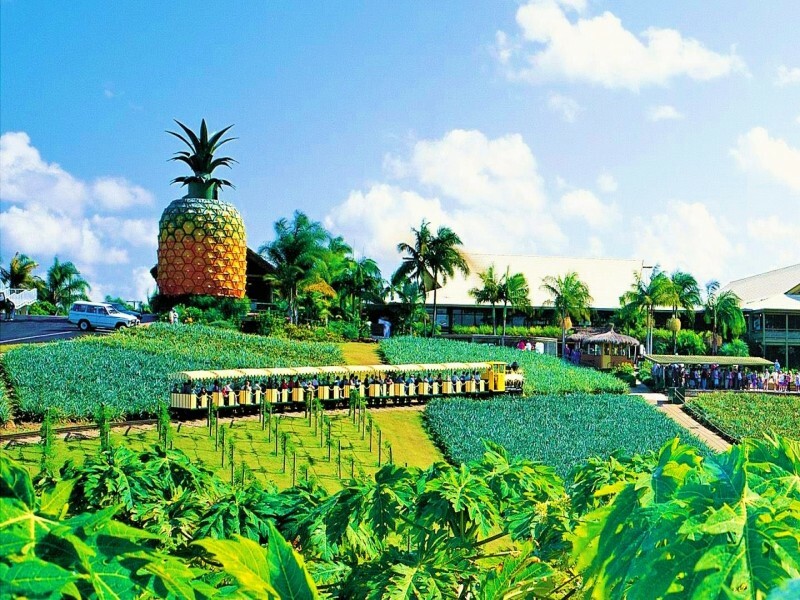 The Big Pineapple is another fantastic day out with the kids who’ll love the mini train and show. The Eumundi Markets are another hit, offering everything from cuisine to homewares to fresh produce. While a posher shopping experience can be found further north in Noosa at Hastings Street, peppered with boutiques, art galleries, and even offer fishing charters for the boys. The Oaks Seaforth reception can also assist with organising day cruises, bush walks through the near-by national parks, and if the season permits, whale watching. 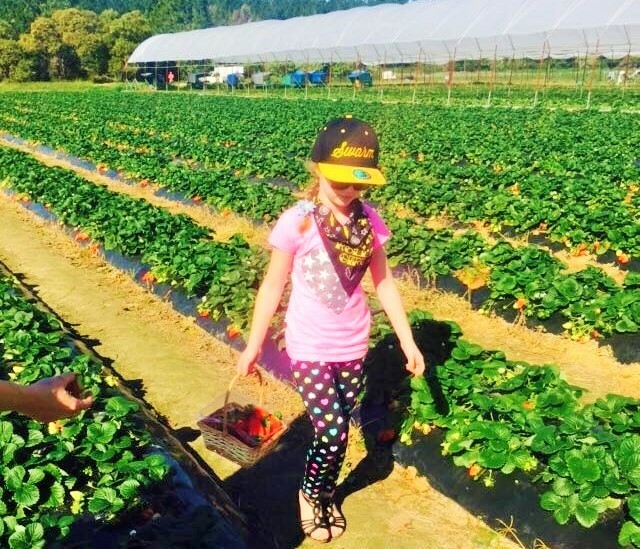 Our DQ hot tip is to break up the trip home, if you are travelling from the south, with some Strawberry picking at one of several farms along the highway. It’s a fun activity for kids and adults and you are rewarded with a delicious snack to accompany you for the rest of your journey. Alexandra Headlands is a truly unique slice of the Sunshine Coast where live slows down to allow you to appreciate the things that really matter while enjoying the perfect beach backdrop. 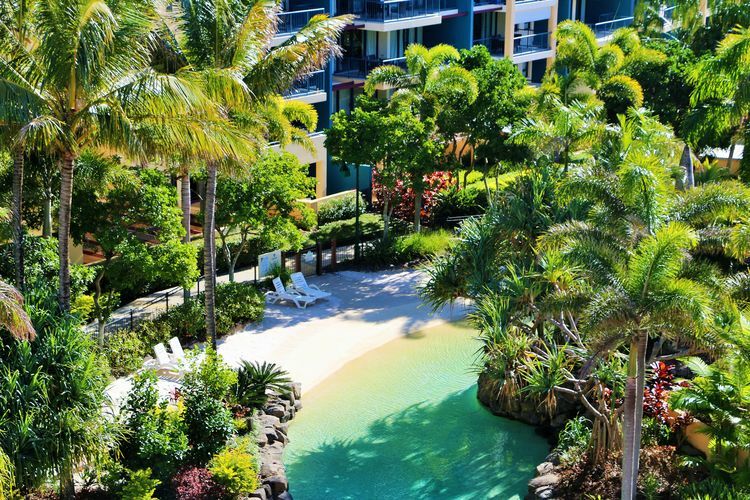 Speak to the Queensland holiday experts at Discover Queensland to organise your next Oaks Seaforth Resort getaway in Alexandra Headlands. 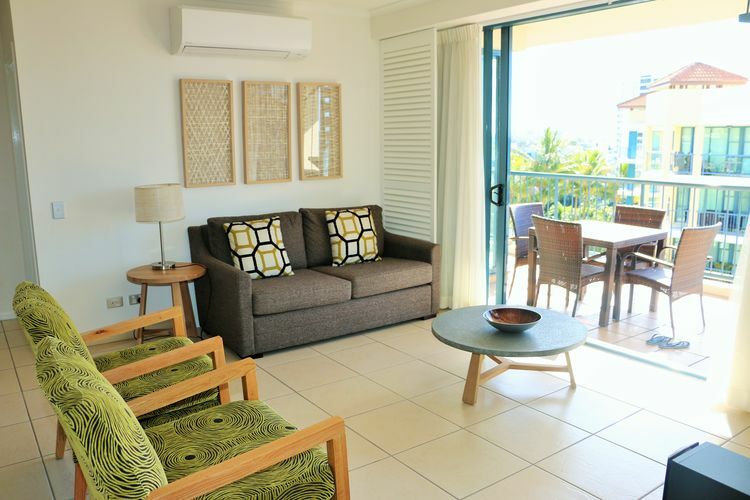 Oaks Seaforth Resort is situated just 2km from Mooloolaba Esplanade and Underwater World, is handy to golf courses, tourist attractions and premier Sunshine Coast venues. This resort is the ideal destination for a family adventure or romantic couple's getaway. 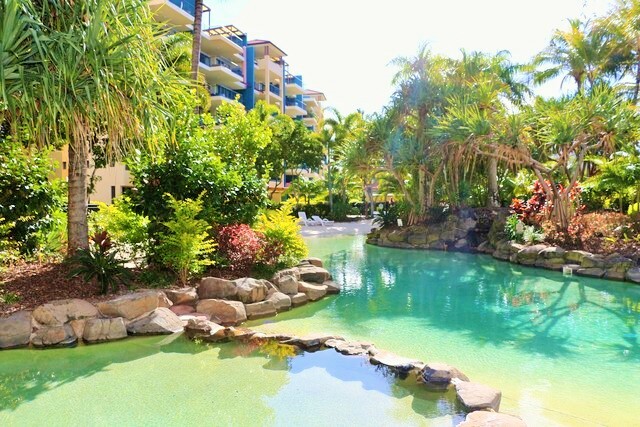 Located opposite the patrolled surf beach, BreakFree Alexandra Beach offers self-contained apartments wrapped around a tropical lagoon pool. Fringed by golden beaches, national parks and glorious mountains, Alexandra Headland offers a relaxed, laid back holiday atmosphere.